The company certifiers RISC had previously identified the Bambo prospect to the north of Samo in Block A2 as targeting untested shallower sands with a best estimate prospective resource of 333 million barrels within a range of 117-902MMbbl with a geological chance of success of 18%. There now appears to be a third prospect, Soloo, which has two targets: an SNE field extension targeting the S4300 sands with best estimate prospective resources of 193MMbbl and a shallower target in the S4000 sands for a prospective resource of 142MMbbl. The S4300 Sand prospect has potential for 96-327MMbbl and the S4000 Sand has a range of 44-456MMbbl. The well has a 73% chance of success for the S4300 Sand. The interpreted SNE field extension is assessed by FAR as having a 73% geological chance of success. 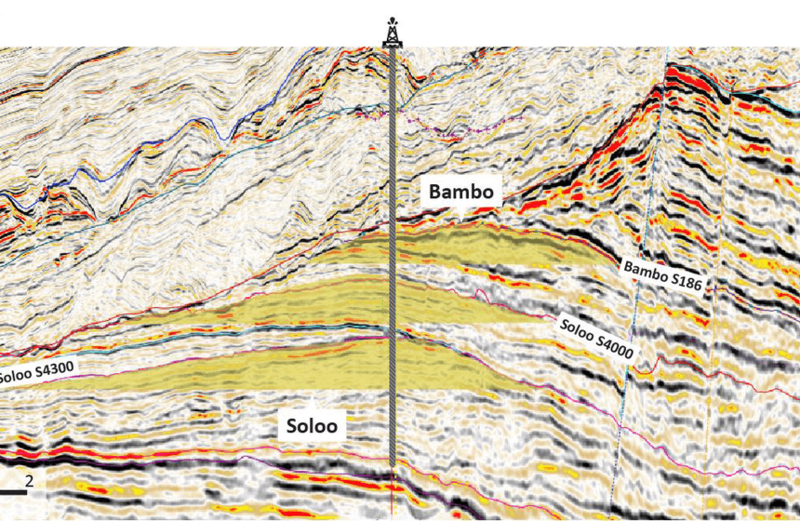 RISC is yet to review Soloo, but both it and Bambo are being developed to drill-ready status. Given that both Bambo and Soloo overlap aerially, FAR hopes to test both prospects with a single well sometime after the Samo well, which is due to spud on October. Saloo/Bambo is just 23km from SNE-5, one of FAR’s successful appraisal wells in neighbouring Senegal. Samo is an 825MMbbl (best estimate) prospect that will be drilled by FAR (40%) and Petronas (60%) with a better than 50% chance of geological success for one or both target intervals. The results of Samo-1, the first well drilled in The Gambia in almost 40 years, should be known before the end of the year. The company said the result at Samo will not affect Soloo. FAR shares were 11.5c this morning, capitalising the company at $628 million.